What a whirlwind! Less than two weeks ago, 68 teams were named to the NCAA Tournament bracket. Brackets were analyzed, futures bets were placed, and everyone wondered if it would be a walk in the park for Zion Williamson and his Duke Blue Devils. Now, we are down to four teams who will play this Saturday in the NCAA Final Four. The winners meet Monday for the one shining moment that will crown a National Champion. How did we get here, and what can we expect this weekend. We’ll tell you, after a quick break for the Progressive box to croon lounge hits. Welcome back. At the outset of the tournament, everyone said it was going to be a chalk run (favorites would dominate, in other words.) The top four seeds were Duke, North Carolina, Virginia, and Gonzaga. Everyone was going to be shocked if at least two of them failed to advance to Minneapolis for the final weekend. Alas, the chasm between expectation and reality oft looms wide. Of the top seeds, only Virginia is still around for the NCAA Final Four, and it hasn’t been a cakewalk for them. But, give the Cavaliers credit for making it. What surprised Gildshire the most in March Madness, so far? We would have bet large lunches at Panera Bread that either Duke or Gonzaga would have still been around when the NCAA Final Four came to a big-screen near you. Zion Williamson is the nation’s most dominant college basketball player. Gonzaga’s offensive and defensive metrics were better than anyone’s, and it wasn’t close. 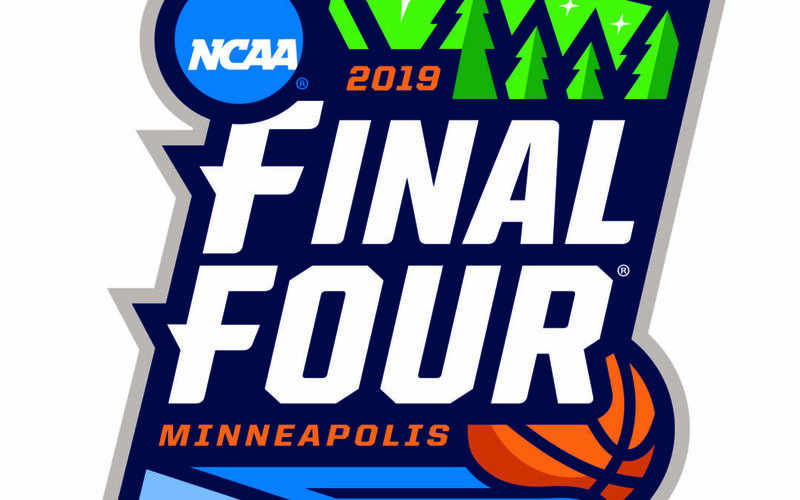 So, who joins Virginia in Minneapolis for the NCAA Final Four? The ‘Hoos (short for Wahoos, it’s what they call themselves. I don’t know why.) are joined in the Twin Cities by Auburn, Texas Tech, and Michigan State. Who plays who…or…’Hoos, I guess? Good one. Auburn plays Virginia Saturday at just after 3:00 pm Pacific. Texas Tech and Michigan State square off about 20 minutes after the conclusion of the first game. Who does Gildshire think will play Monday night? That’s a good question, and if you saw the condition of our tattered bracket, you would ask someone else. However, if we were a betting organization, our money would be on Virginia and Texas Tech. Both teams are known for gritty defense and outside shooting. Those are essential to winning it all. And, if one of those is upset, who do you think will pull the rug? Michigan State could easily be in the final. Spartan Head Coach Tom Izzo coaches this tournament like few others have been able to do. We actually rate the MSU-TT game a virtual toss-up. Auburn Head Coach Bruce Pearl gets a confetti shower for leading his team to the NCAA Final Four. Outside of the games themselves, are there any interesting stories? Two teams are in this year’s NCAA Final Four who have never advanced this far before, as Texas Tech and Auburn both make their inaugural trips to the top of the mountain. Both schools, Auburn, in particular, are known as football schools, with basketball as an afterthought. Now they are two games from taking home NCAA basketball’s biggest prize. Enjoy the games this weekend. They are the culmination of a journey that started in early November when most people weren’t paying attention.